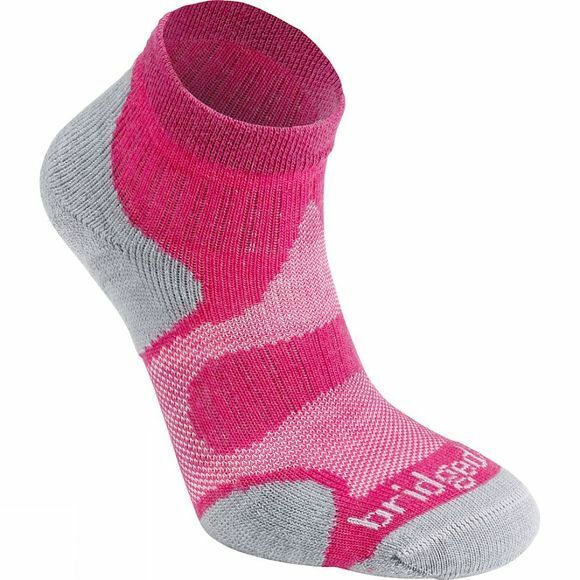 The Women's CoolFusion Multisport Sock is lightweight, breathable and close fitting. Light mesh permits air circulation whilst cushioning under heel, ball and toes provides protection. Merino Wool offers superb softness and touch next to skin. Merino Wool also provides excellent thermal and moisture control properties. T2 anti-compression loop technology uses a loop within a loop to provide an additional level of impact protection. The inner loop has even more resilience than the outer loop for cushioning when you need it. T2 pad technology has been knit into the pressure points: ball of the foot, lace up.